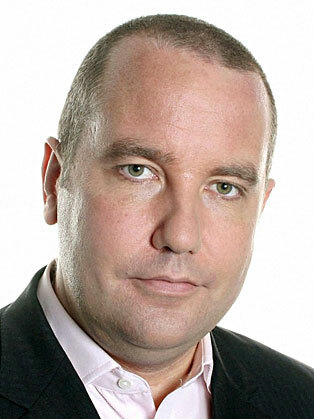 Eddie Mair is a Scottish broadcaster who presents on national radio and television. Eddie Mair is, by his own account, one of Britain’s most beloved broadcasters. Born in Dundee, Scotland, he has worked in radio all his adult life. From the foothills of commercial radio in his hometown, through the sunlit uplands of the BBC in Scotland, he has reached the peaks of his profession, with BBC network radio in London. And he’s never afraid to work a metaphor beyond endurance. In addition he’s appeared on most of the BBC’s TV channels, including ones that are no longer on TV. He witnessed the handover of Hong Kong and once asked Arnold Schwarzenegger a question –though he takes no responsibility for either. For nearly twenty years he has been at the helm of Radio 4’s PM: a nightly news round-up that means Eddie works for just one hour a day, giving him plenty time to knock together these diaries. Whether he’s interviewing politicians, getting people to share their personal experiences, or just imparting his favourite zesty chicken recipes, Eddie is never happier than when he is at the microphone. Except when he is at the microphone with a large martini. In truth, his neediness is an irritation to everyone who knows him and if you buy this book he might get out of their hair. Eddie’s other work, as a humanitarian and tireless, secret worker for charity is not mentioned here. His diaries, A Good Face For Radio, will be published in November 2017.